This FDA compliant hydrogen ball valve has a metal-to-metal sealing and guarantees a leak rate of A or 0. The metal-to-metal sealing ball valves are designed to individual customer requirements and are distinguished by their long service life and low maintenance. 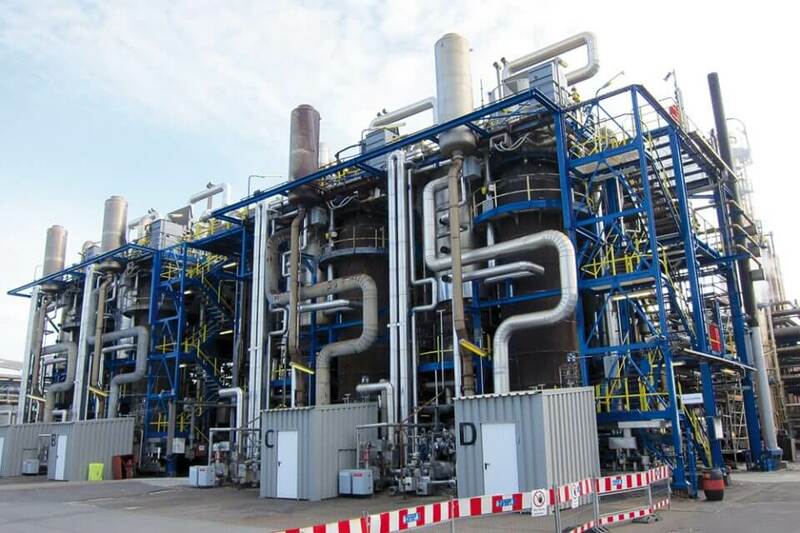 The generation of products in chemical processes presents high level demands on the reliability of the plant components. The areas of application of high performance valves are varied: designed to individual customer requirements they are suitable for temperatures of -200 to +550 °C, pressure stages up to 700 bar and up to 200,000 cycles per year. Hartmann valves are already in successful deployment for the following, in part aggressive media: crude oil, natural gas, acid gas, syngas, oxygen, hydrogen, helium, steam, thermal water, coal dust, slurry, slag & ashes, polymers, cellulose as well as abrasive and degreasing media. The valves can be flexibly combined with electric, pneumatic or hydraulic actuator technology. 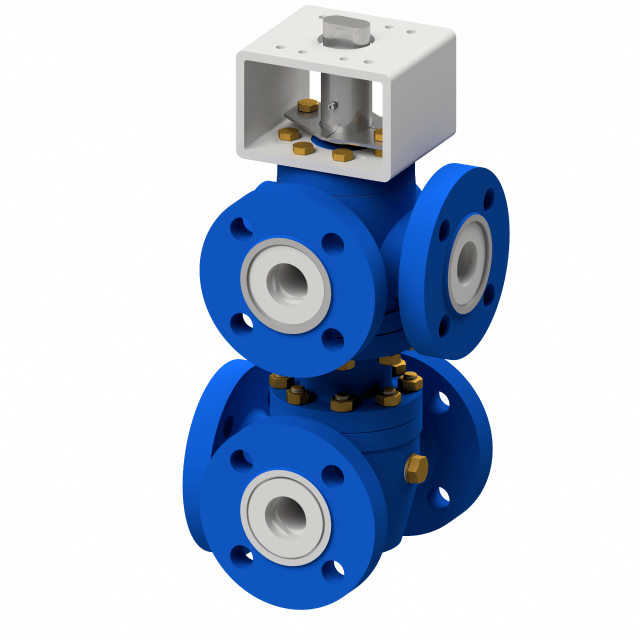 Double ball valve for double safety: with the twin ball valve the safety in the structural length of standard valvework is increased by a factor of 4. The high leak-tightness and durability of the Hartmann special ball valves is achieved by means of a metallic sealing between ball and seat ring. This sealing system is gas-tight and also fulfils a leak rate of A or 0 even with high cycle operations. Even in the presence of contamination it is considerably more robust with low maintenance than soft sealing systems. A further decisive factor is the appropriate material selection as well as surface treatments and special coatings. Thanks to the longer maintenance intervals, substantial time and cost savings over the entire service life of a plant can be realised. Additional safety is provided by special design features and safety orientated functions such as double isolation and bleed (DIB), two additional independent barriers or double block and bleed (DBB), which enable testing in the pipeline. To increase the safety in existing plants with minimal outlay, the twin ball valve offers a compact and economical alternative to the deployment of multiple valves. These consist of two ball valves in one housing which can be equipped with two independent barriers if required. Our multi-way valves are also individually developed to customer requirements and are fitted with a metal-to-metal sealing system. Multi-way valves lend themselves where switching over between different lines has to take place. An example of a typical application is the switching over between two filter systems. This makes continuous operation possible by which one filter remains in use while the second is cleaned, replaced or regenerated. The combination and mechanical coupling ensures that several valves are switched at precisely the same moment. The valves are furthermore used to switch over between different media, e.g. fuels on turbines. By means of the trunnion mounted design, the ball is centered in the middle of the valve even under asymmetric loads. The spring loaded sealing rings provide a reliable seal in all pressure situations. The different angle between the flanges and ball bores in L, T or X execution results in a variety of combinations. Special ball valves for extreme conditions ensure energy-efficient production and greater efficiency.